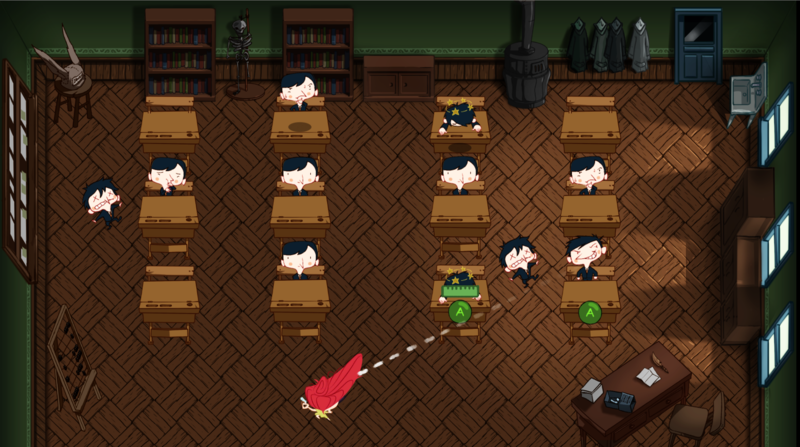 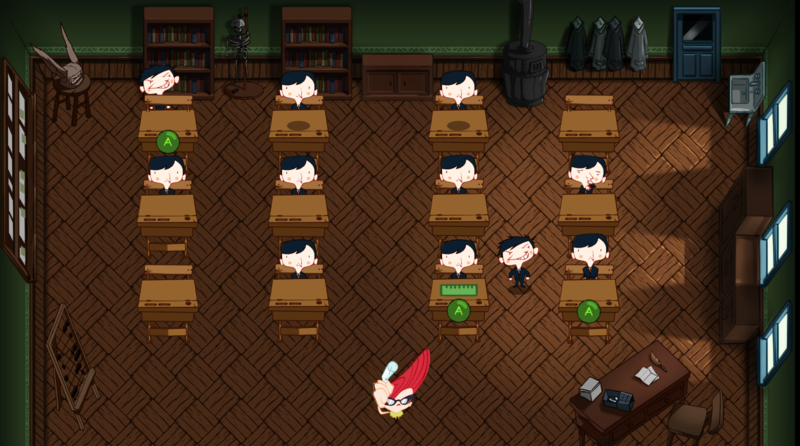 In Cheat'n'Teach, three players act as the bad students… like they surely were during their childhood. 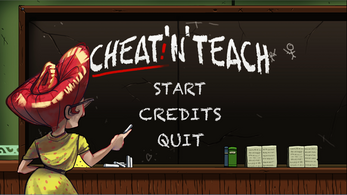 Cheat, run, don't get caught and earn the highest grades to win. 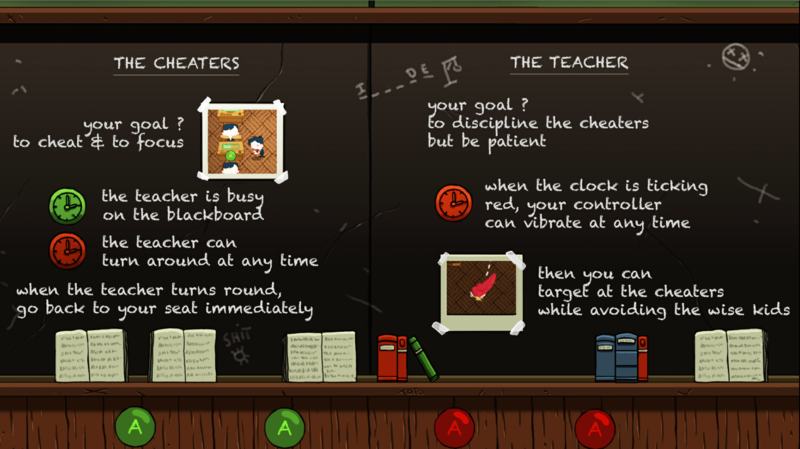 The last one can experience what being a teacher in that time really means: You are allowed to discipline the duffer by throwing your chalks at them. Cheat'n'Teach was developed in Fribourg during the second edition of the i3 gamejam, Switzerland with 18 semi-professionals of the Swiss-French scene.